In the early 1900s, white cockle was introduced to North America from Eurasia. 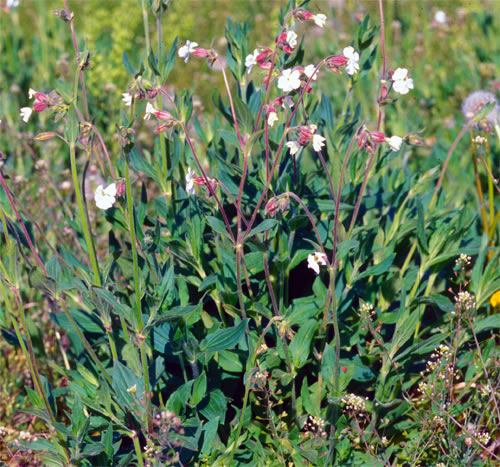 White cockle invades disturbed areas, roadsides and farmland. It is a serious problem on farmland because its seeds are difficult to separate from commercially produced clover or alfalfa seeds. 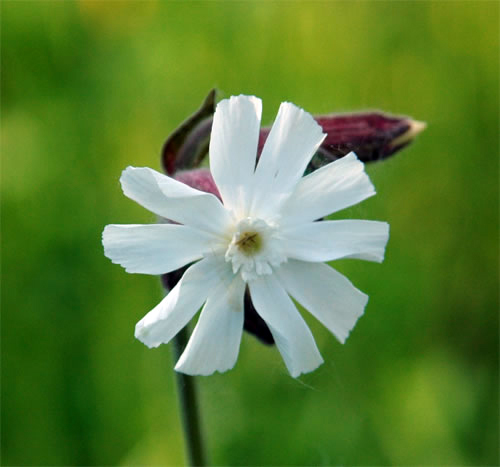 The fragrant white flowers have five deeply notched petals and only open in the evening. Each plant is either male or female. Female plants have different flowers than male plants. 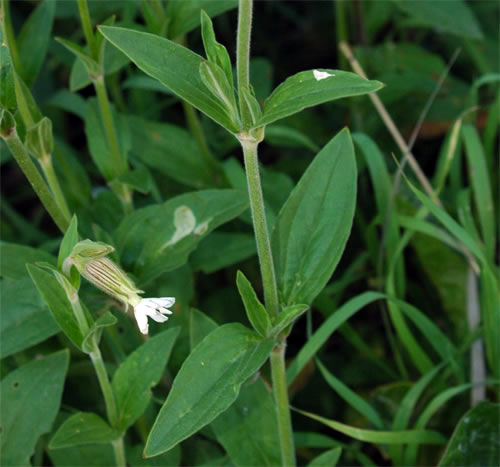 Female plants have flowers with only one pistil and the calyx has 20 veins. The male plants have flowers with only stamens and the calyx has 10 veins. Leaves are elliptic to lance shaped and oppositely arranged. The plants are typically covered in short hairs and grow 40-100 cm tall. As a perennial species white cockle has a strong taproot.